Surrender at 20: Red Post Collection: Yorick Champion Update Podcast & Boards Q&A, World Championship 2016 primers, and more! Tonight's red post collection includes a new podcast discussing Yorick's champion update, a Yorick champion update Q&A, a few primers to get you ready for Worlds 2016, and more! 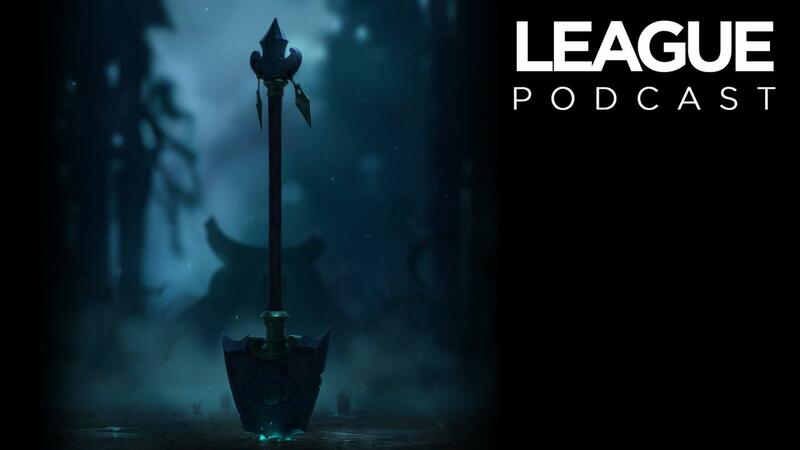 With Yorick's champion update launching in 6.18, here's the team with a podcast discussing Yorick's new gameplay, story, and more! This week, designer Sol “Solcrushed” Kim and writer John O’Bryan tell the story of transforming Yorick from gravedigger to The Shepherd of Lost Souls." 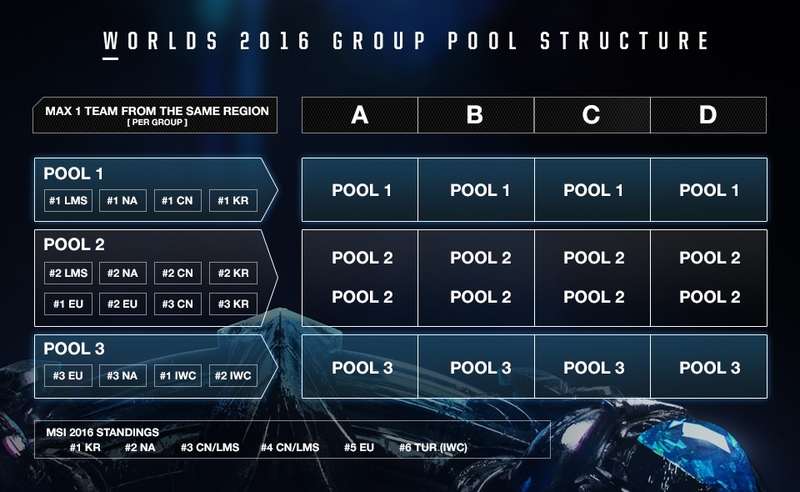 The 16 teams have been decided and the 2016 World Championship is starting soon! 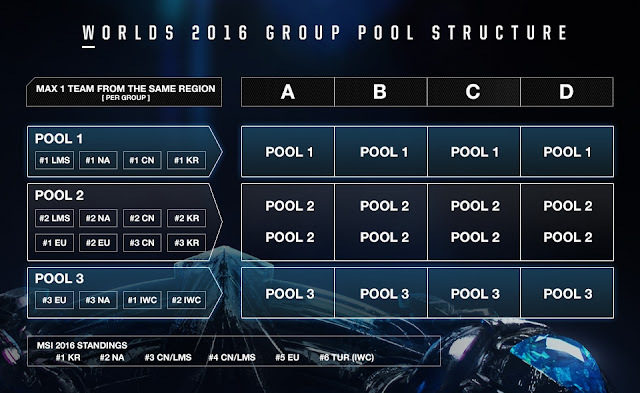 Worlds 2016 is set to run from the start of the group stages on September 29th through the finals on October 29th! 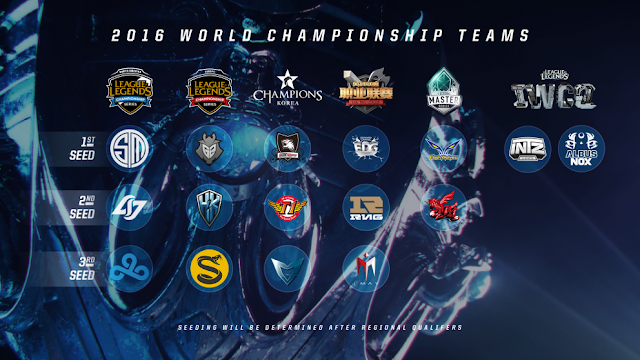 To get ready, Riot has posted a new [What is the 2016 World Championship] primer, including a run down on the participating teams, event structure, prize pool, and schedule of events. The [Understanding the Group Draw] article explains the upcoming Group Draw Show, which will take place on September 10th at 11 AM PST. 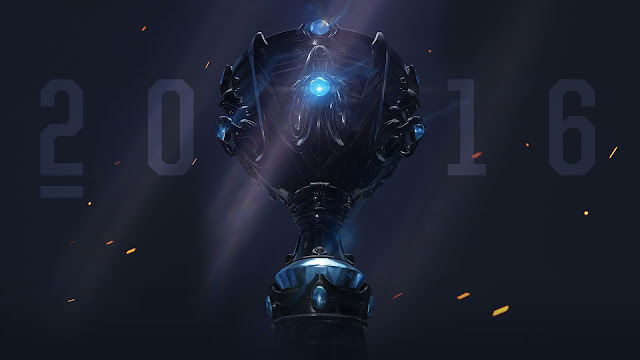 This show will decide who will play who in the World 2016 Group stage. Be sure to check the full article for more information. No, seriously: it used to be you had to dance as both Tahm and another nautical champion: Nami, Nautilus, or Fizz. Turns out that was too well hidden an easter egg so we eased up on it recently and made it so it just requires Tahm. Couldn't let that adorable dance animation go to waste!" Season 2 of LEGENDS RISING starts up soon and here's another teaser featuring SMEB! Several members of the Yorick champion update team have hit the boards to talk about Yorick's new visuals, gameplay, story changes, and more! "YORICK REWORK Q&A IS NOW COMPLETE. Some of us will pop back in when we can to answer follow-up questions, but the main Q&A has concluded. Thanks for participating! Christopher "Riot Rainslight" Eaton - Gameplay Video"
So where do we see fair counterplay to the essentially bot splitpusher when it comes to key late game team fights? Is it honestly healthy to have a one button bot summon to create an unequal mad advantage, and why not let something like Tibbers roam free like this? I think I'm just concerned with the health of this champion, as I can only imagine his permaban status for a long time before he gets nerfed into oblivion to compensate for literrally adding an AFK farmer to one team. The biggest balancer is that Yorick sacrifices quite a bit of power to set the push up, and the Maiden pushes rather slowly on her own. Hopefully this allows enemy teams time to react and a clear way how to do so." how many minions do you have to kill to spawn a grave? Is it random? Also, does the maiden have a speed boost with Yorick's E? What is the reason he has to prepare his mistwalkers with graves now, instead of being able to spawn them instantly like before? 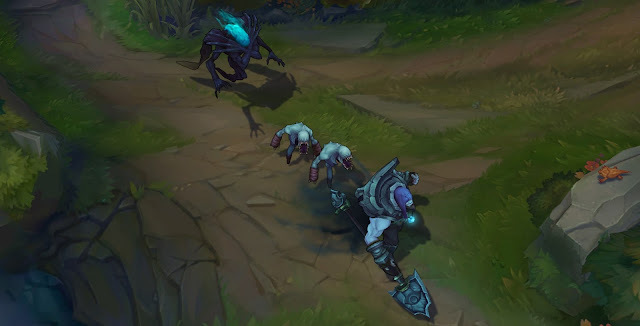 Instant spawns were problematic because it led to a lane where Yorick made a walker, enemy killed the walker, Yorick made a walker... rinse repeat. Enemy was constantly annoyed by the extra work he had to put in, while Yorick never had a chance to actually feel like he had an army." "You can only control his minions with E. other than that, they run wild! The W does gain health and there is a health bar. It definitely feels like you are summoning a giant army that is going to consume you sooner or later... so I like the kit with how he is portrayed." Was wondering about the bar on W - Dark Procession. Is there a reason why it didn't get a visual life bar similar as Braum Passive Indicator? as well as a duration timer? We wanted it to look like something you would attack to make it die, rather than attack to get another effect. Braum you are hitting 4 times to GET a stun, this is hitting a few times to break it. Similar to a ward so we went with a similar structure." What gave you the idea of giving him a destructible wall? Since this character was going to be at his best in a skirmish (due to the nature of minions) we wanted to give him a spell that guaranteed a certain degree of utility, be it teamfights or not. A wall made a lot of sense with his necromancy theme, and the destructible part was added to create additional counterplay + make it ok on a juggernaut"
So, what's up with his W rank up increases? They're kind of really unsatisfying. Why did you make the decision to have the ability only get better with every other rankup? More or less a balance call. 3 hits were proving to be too strong at rank 2. And 2.5 is the exact same as 3 as far as the ability is concerned. The cd gain is pretty major though, since it is a utility spell that can be very strong in the right circumstances"
It came from a desire to have moment of power for Yorick where his summoning powers were ungated, but still have different ways to play around than 'run from him'. Making it a separate minion allowed us to attach a lot of the functions it has that make it unique." 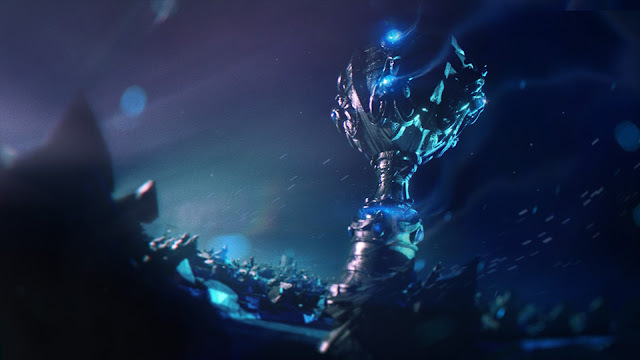 With Yorick's theme obviously centered heavily around splitpushing and dueling, do you think he'll eventually reach a state similar to Aatrox and Tryndamere where he is hardly ever played due to the prevalence of teamfighting in the game? He has some utility, sure, with his wall and slow, but for the most part I feel that he is going to just end up forgotten again. Do you think this is a problem, or do you believe that the relatively small niche of splitpushers is a necessary and healthy aspect for the game? Are there any potential changes on the board to splitpushing as a whole to make it a more viable strategy? Curious to hear your thoughts. IMO splitpushing is absolutely necessary for the game, we cannot have a diverse roster of champions that offer different gameplay experiences without having them be good at different things, including dueling and teamfighting, otherwise everyone starts feeling the same. The issue we have not yet been able to fully solve, is how to make splitpushing more engaging and fun for all the players in the game." Which part of his kit took the most effort? I'm a developer, so my question is to whoever primarily worked with the AI. Somewhere it was stated that Yorick's maiden has the "smartest" AI to date. What truly makes the AI unique in its "thinking" beyond the simple logic of.. I know this is an insultingly oversimplified logic, but I'm just trying to figure out what specifically makes this maiden smarter than, say, Mordekaiser's dragon AI that can be commanded to gun down a separate lane (with the exception you must actively tell it to keep pushing). Well we said it was 'smarter' than the Walkers, not that it was the smartest AI do date. It's probably less complicated than some of our bots since the Maiden does not kite or retreat, buy items etc. So stuff like.. when she thinks Yorick needs help, and when she thinks he doesn't, When she thinks its a good idea to push down the lane, etc." That's not really what happened in the spotlight, you said that turret priorities the maiden but at 6:00 Yorick was pushing mid with the maiden, the turret killed the 4 goules then transferred to the cannon minion leaving the Maiden untouched? On the other hand, it worked right in the bot lane split push at the end. Am I missing something? I noticed that with Kled and now with Yorick, the player has some unique background music. For Kled, it's when he dismounts, and for Yorick it's whenever he's close to the Maiden. What is the reason behind this design decision? BUT there were actual reasons as well, for Yorick we wanted him to immediately understand when the Maiden has died, since it's very easy to lose track of your own character, let alone a minion. Compounded by the fact that she can move far away from him." Seriously great questions in here. I wrote the champ reveal, so I'll take this one! I focused on the problems with his theme (creepy old gravedigger) in his reveal because I think theme is a really powerful factor in whether or not champions are popular. Obviously Yorick had other problems, and we didn't give him the attention he deserved. I think we feel pretty confident saying that we screwed up with the original design—his play pattern was flawed at its very core, and so we found ourself just making sure he sat close to a 50% winrate rather than trying to fix it with a torrent of changes. That, honestly, is not a good way to keep League healthy. We realized that—this is one of the big reasons we started pouring serious resources into the Champion Update team(s). Sometimes changes to one or two abilities isn't enough to make a champ healthy, and we've gotta put more resources into it. You guys are right to hold us accountable when we let champs languish in an unhealthy state. Champ Update exists to make those champs better. Sometimes it takes us a while, but I think we're getting better at it. Gonna have to leave for a bit. I'm very busy helping to plan Ryze's next three reworks." So when did you decide to change his minion mechanic to a passive rather than have them be separate abilities? why remove his lantern? I imagine it was an iconic part of him. "Rather early, as we felt one of the issues with 'old' Yorick was that his summons felt like afterthoughts to a spell. Since we wanted to refocus the character around his minions, making them their own thing made a lot of sense." What was one idea for Yorick you had that you wanted for the rework but couldn't fit? Raising allies as undead. We could not find a version that was satisfying and fun for the raised ally but also did not cause Yorick's entire power to hinge on said ally / said ally dying"
1. Could his old ult be resurrected again with a new support champion or something? I think its concept is really cool, but just for the wrong character. Potentially, although it requires a bit too much understanding on the ally's side to make work. Not to mention the clone part was pretty awkward. I could see an actual resurrection or animate dead ultimate being possible though." This is a popular question! Scrapped abilities? Passive used to make allied champions that died become a controllable (by the dead ally) Walker that would explode on enemies like Kog." Any hilarious bugs during testing? Far and away the best bug for me (on playtest) was whenever I summoned Yorick it would cause the game to crash for one other person in the game. It was like some sick game of russian roulette." 2) Any hilarious bugs during testing? As for bugs, a lot of them were around interactions with ghouls/wall with other champions, but none of those are funny. 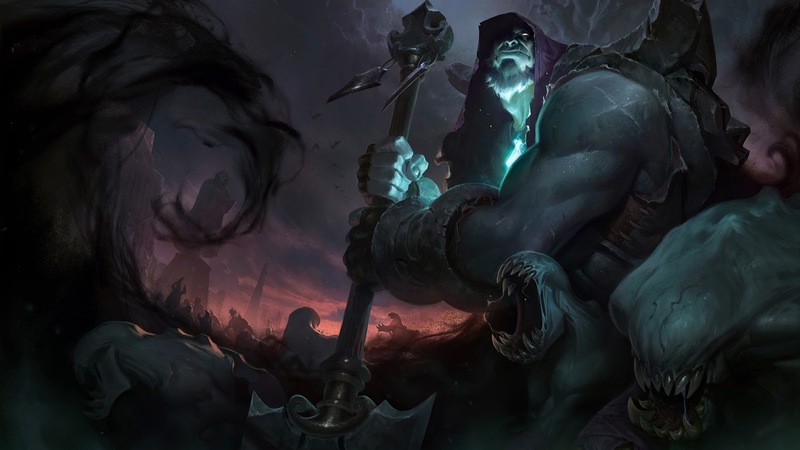 There was a pretty interesting one where Yorick's Q2 didn't actually consume the graves, so he could just keep mashing Q over and over to spawn new ghouls." Obviously we want the best bug from this. Maybe the most insane version of his kit. I remember Solcrushed saying on the Yorick stream that there used to not be a limit on his minions. Apparently in one of the playtests there was a wave of Yorick minions that was 40 strong, or something ridiculous like that. They changed that shortly after. I had a version where the Mist Walkers were unlimited & the ult caused all dead enemy units during a time frame to become Mist Walkers. Anyone with a skillshot was unplayable." "A fun version of his kit was when he had % missing health healing on his Q (like 5% of his missing health) that basically caused him to be unkillable without some serious burst damage. I remember getting into a fight against Udyr and between his turle shield and my Q we actually couldn't really kill each other although both of us started the fight at under 20% health. Then there was that combined with low ratios and pretty high bases - we basically had Yorick suicide splitting down a lane and it would take 2-3+ people to kill him because he would build entirely tank items. He didn't have enough damage to kill anyone else, but he was very capable of slowing killing towers. There were too many games where he was 0-10 and still won just because he was in the game. It didn't even matter what happened anywhere else. I commonly refer to this as the worst week of playtesting ever lol =P"
Next question! Is the cape the source of his powers? Or is he only pulling souls from it. Like, if he wasn't wearing the cape, but had access to a different source of "souls", would he be able to do all the same things? Also how did he get the cape? How was it made? This is all coming out in the bio/color text very soon! Basically, his cape is a piece of the Mist that is forever trying to possess him. They have a complicated relationship. 60% symbiotic/40% parasitic." has Yorick given up on humanity completely since his line to Ryze mentions that Ryze should let the current world die?or is he just tired of being alive for so long?also what is his view on the souls traped in the mist are they just a means to an end to him? I think he believes the only way to really free the souls in the Shadow Isles is to see them through to the other side. In other words, he wants to wipe everything out so the undead can finally be dead. He does care about the souls in the mist. This is his only remaining shred of humanity." Yet, he is called the "Shepherd of Lost Souls." A shepherd needs control over his flock, lest he lose them. In this instance, wouldn't a better term be "Wrangler" or "Gatherer?" Yes. A very loose control. Shepherds don't use leashes." What is the reasoning behind the lack of control over the ghouls? Re: lack of control -- thematically, Yorick does not think of himself as enslaving the souls in his mist. He thinks what someone like Thresh does is pretty abhorrent. Yorick likes to give the things he summons some agency so he can feel better about himself." I heard the holy water vial on his neck is supposed to have some narrative importance to it, mind sharing? It's the only thing keeping him from being taken by the Mist like everyone else on the isles." But why the water vial? It doesn't really do anything in game. The water vial is mainly for narrative piece, so was the lantern. But water vial can tell deeper stories about Yorick and the Shadow Isles. Lantern is only there because of the Gravedigger trope." From a lore perspective, what exactly IS the Maiden? A wretched conglomeration of trapped souls." does yorick chat with any of the tormented souls or are they a bunch of wailing souls? He totally does. But they aren't really themselves. The Mist retains all of their memories and can use that to manipulate Yorick." This actually came pretty late in the process. We felt like something was missing from the character, then realized we'd be making a huge mistake if we didn't give the Mist some kind of persona." Is his last name still Mori? It's possible, but it's not relevant to his lore anymore." "You will remember Yorick Mori"
The quote 'Remember me, for I no longer will someday' (Can't recall the precise quote) is intended to be an homage to his iconic line." is yorick friends with kalista or any of the other champions for that matter? Yes indeed. As much as Yorick can be friends with someone, anyway. Yorick, Kalista, and Maokai share similar interests but don't really spend time together due to other differences." Hey guys. Awesome work on Yorick! Question: When Yorick dies, why does he see the Wolf, and not the Lamb? Considering that his in more than one of his quotes, he said he would gladly give up immortality, and that he doesn't refuse death. And the Wolf is the one that hunts those who refuse death, so why does he not see Lamb to deliver him a swift death, and instead he meets the Wolf? Yorick can always see both lamb and wolf, even while alive :p"
That's a good question. Not sure. Maybe one of the lore guys could answer. Yorick could see lamb and Wolf even before the ruination though." Why did you guys decide to not-give his Mistwankers a face/empty eye sockets or something? RLL: I can't speak to the final reasons why but I do remember a lot of discussion around the Mistwankers, as you call them lol, and if they should be representative of actual dead people or if they should be more abomination / twisted visages of the life they used to be. With Yorick being a caretaker of the dead as part of his lore the team felt that it would be more horrifying / motivating for him to see these twisted creatures and know that he was corrupting the lives and deaths of those he tried to help. Hence making them more faceless / no eye sockets. Long answer: The concept for mist walkers is supposedly the twisted beings blinded through hunger and hatred, they don't have any humane values or consciousness all they know is to bite, scratch and devour anyone who's in front of them. That's why in game, Yorick has very little control over them. Short answer: because they will look like minions from "Despicable Me" if they have eyes." Q: Without signing them up to a deadline, they're now unlocked to make skins for Yorick with this rework. I'd expect one sooner than later, as we're all painfully aware of the amount of time it's been since his last- but we have no intention of rushing one." 1) What was the hardest part to animated? The graves? The cape? The Maiden? 2) We had a bug where the Maiden and the ghouls would march 'across' the middle of the map in Twisted Treeline, and I could not for the life of me figure out why the AI was behaving that way. It turned out that TT has a 'mid lane' that connects both nexuses in the game logic. So my AI for 'go down nearest lane' was causing them to go down this 'mid lane'"
Was New Yorick intended for other roles other than top lane split pushing? Top lane was the main consideration, with some jungle. Should we expect something this drastic to Galio when this team gets around to reworking him? Should Galio fans fear the same sort of complete dismantling of their favorite champ as well? Probably similar degree of changes to Galio also, all VGUs tend to be this big in scope"
I've been wondering about how the new ghouls typically behave for yorick in the jungle? Do they actually follow him around or do they just march off to the nearest lane whenever possible? Also about how far away can ghouls be brought to life from they're graves? In the jungle, they follow Yorick around. Not sure if I understand the second question, but Yorick;s raise spell (Awaken) has a radius of 1000"
Are there any interactions in his kit that you aren't sure people are aware of? Does his ultimate have a separate four ghouls it carries with it or does Yorick and the Maiden share the same ghoul cap? How many pizzas does Yorick have to order when it's Pizza Night? 2 : If they're away from each other, they can each have 4 (for a total of 8 spooky friends across the map), but if they go near each other, they share the 4. 3 : 5 if it's just him, 10 if he invites the maiden"
Yorick is capped at 4. He can't have 2 mini armies. Yorick needs 1 to himself, 1 each for the ghouls and 2 for the Maiden.. (She's a hungry lady.)" 1: Are you thinking about giving Yorick a necromancer themed skin? Like Gravelord Azir? 2: Will you place him on free rotation next week? 3: A lore question now. It's written that he is the only survivor of a long extinct religious order, can you place on runeterra's timeline when did the order get extinct? What were their beliefs? Edit: Why Yorick considers kindred an enemy? Yorick considers Kindred a friend. The order went extinct during the ruination along with rest of the blessed Isles"
1) Yorick's vial of water comes from the Blessed Isles and the sacred pool of waters that was once found there. Shurima also has such a body of life giving waters in the Oasis of the Dawn. Is there some sort of underlying connection as to why pools of potent restorative energies can be found on Runeterra, or are these things just coincidences and in those two instances humans just stumbled across two very similar things in two different parts of the world? 2) Yorick's really not keen on anyone from the Shadow Isles seemingly beyond Kalista and Maokai, who he seemingly tolerates more than anything else. Has Yorick had direct confrontations and battles with other major players on the Shadow Isles? 3) Since Yorick, Mordekaiser, Karthus and Kalista are all bound to the Mist in their own ways, they're technically all connected. As such can they, as powerful beings tied to the Mist, control the flow of souls so as to bring certain strong souls trapped in the Mist closer to them? For example if the soul of a long samurai was in the Mist and both Mordekaiser and Yorick wanted it for their forces, could they try and claim that soul from within the mist? 1) I do not know if I am allowed to comment on this yet. But you are definitely on the right track with your thinking. 2) His big beef is with the Ruined King. He has not confronted him yet, but will some day, once he's strong enough. 3) This is an excellent question. Though we haven't officially nailed this down, I think Yorick is probably the only one of the bunch that has this kind of personal relationship with individual souls. we mention in the lore that he's always had a Haley Joel Osment-esque ability to commune with the dead." Where is Yorick originaly from? Who is the Maiden of the Mist? Someone special to Yorick that died? How come the corpses transform into mistwalkers (Which a clearly different from the original body)? To give him a character journey. A holy man would have the hardest time adapting to necromancy. Shadow Isles, though the far-flung less cultured part. It's not an individual, but a conglomeration of souls. Good question. Here's where it gets weird. Any time a soul is pulled from the Mist to inhabit a body, it's not the same single soul it used to be. Souls in the Black Mist are intermingled, so whenever one is extracted, it might have bits of different souls in it. The flesh it uses in the ground is just whatever mass of decomposing goo happens to be lying underfoot. -One of Yorick's death quotes is "I see the Wolf", but why? Doesn't he long for death? Why would Wolf be the one to take him, instead lf Lamb? -In his champion reveal, it was mentioned that adding a soul to the cape of black mist was like adding a cup of water to a swimming pool: what does this mean for the individual soul? Does it become a hive mind like the Geth, where everyone shares each other's experiences and memories? Does it... cease to be an individual and lose everyt memory that separated it from other beings? -In Kalista's lore, the Ruined King was guided through the Isles by a wretch holding a lantern. At the time, I assumed that was old Yorick, but now that he no longer looks like that, is that guide supposed to be any specific character or just a random monk from the Isles? Ooh, more questions for me. I think Yorick's doomed for a wolf death at the end of this conflict, if he ever gets there. Don't you? Re: the soul in the swimming pool -- the souls that are taken by his mist do retain some of their sentience, but they are corrupted by the sentience of the Mist and lose some of their autonomy. The Mist uses the memories and feelings of these people to achieve its own goals." So if I understand correctly, Yorick is from the Shadow Isles and was living there while it still was the Blessed Isles, right? Another question : Are the souls "conscious" or "Self-aware" (without better words to describe it). If so, does that mean that everytime a soul is pulled from the mist loses part of itself? Does Yorick fully know that and the consequences of what he's doing? Are you kidding? I live for this! Yes, he is old school Blessed Isles. I think Yorick does know what he's doing, but he thinks it'll all be worth it in the end when the souls are "at peace.""